How Good a Service Desk Manager Are You? Many people get launched into the team management role without due regard for suitability, let alone identification of training that is required in advance. 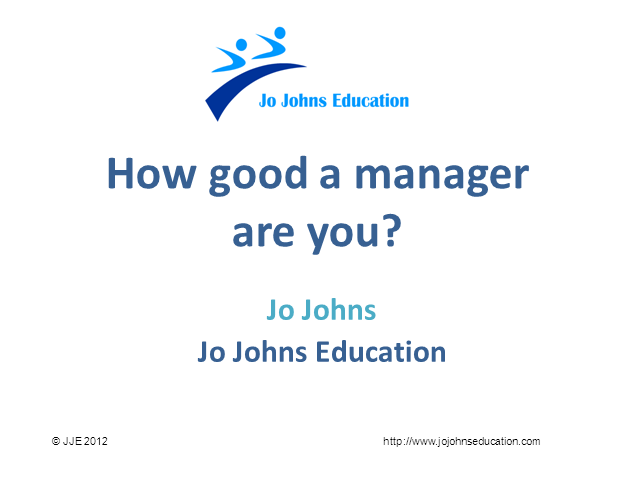 If this is you, or someone you know, or even if you consider yourself to be a great manager this webinar offers you some timely pointers and important reminders about what constitutes great management, and additionally will provide some ideas on how to improve your performance if you are not yet quite cutting the mustard. Title: How Good a Service Desk Manager Are You?